Cross took command early on as he won three legs without Wright having a dart at a double, before the UK Open champion took out legs of 13 and 14 darts to pull back to 3-2 . 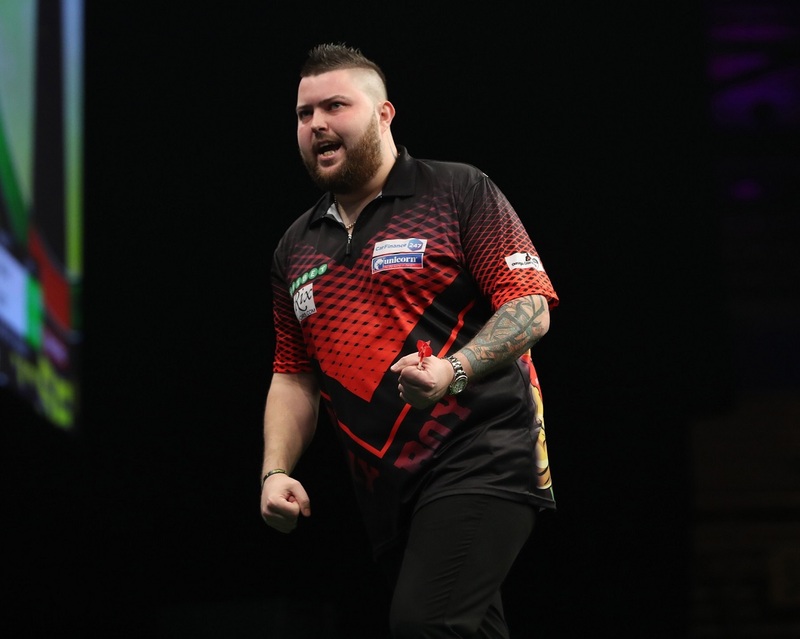 Wright also took out an 11-darter before double five secured Cross at least a point, with the Scot taking out 101 to keep his hopes alive only to see three missed doubles allow the debutant back in to seal victory. "It's nice to get a win," said Cross. "I've not had a routine for the last six weeks but it's starting to come back and I'm getting back to my old self. "The four-week gap after the World Championship was hard because I wasn't on the practice board as much and it killed my momentum, and I'm digging myself out of it now. "I'm practising and playing well and enjoying myself, and it's getting better. It's all new for me still and the more you play, the more success you have and the better you feel." The game of this year's Premier League so far saw both players average over 110, with Anderson firing in a 170 checkout but paying for nine missed doubles as Van Gerwen followed up seven 180s with a clinical finishing display. 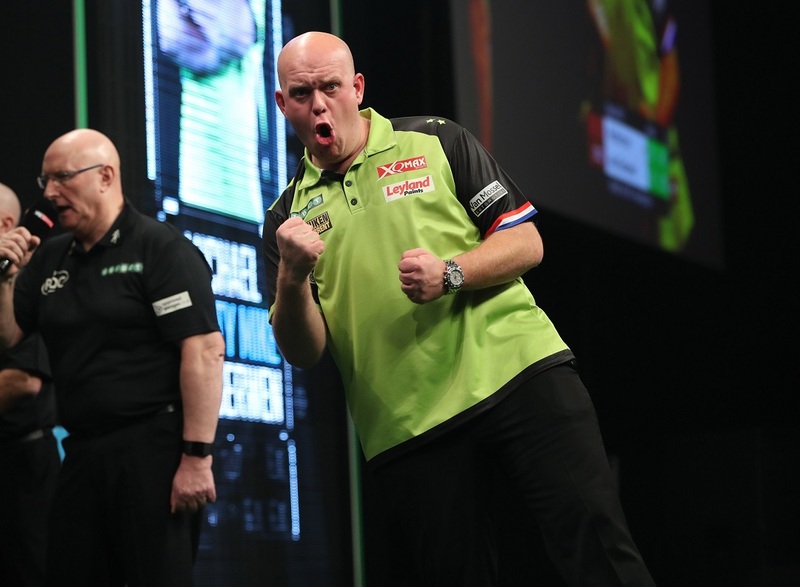 Van Gerwen led 2-0 before Anderson took out 78 and 82 - for an 11-darter - to level, before responding to seven perfect darts from the Dutchman with the maximum checkout as he took the lead at 3-2. 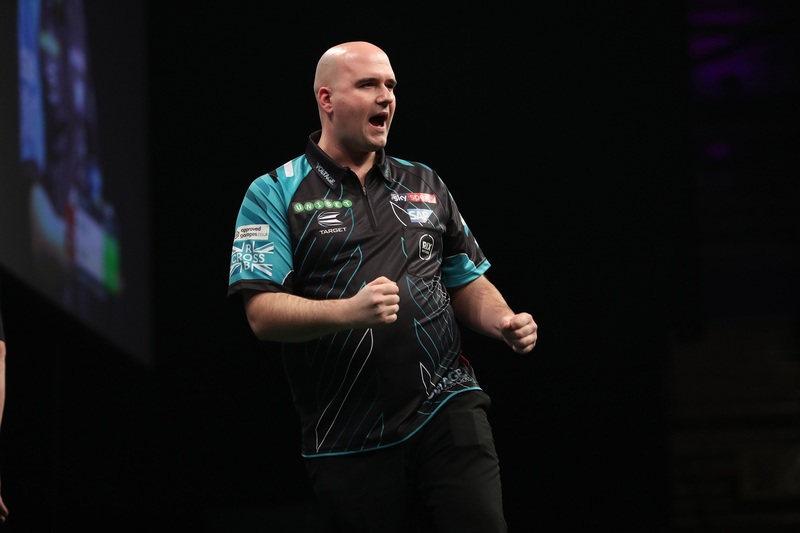 The world number one landed two more maximums in a 12-darter to level, took out legs of 14 and 13 darts to move 5-3 up and capitalised on misses from Anderson in the next two as he sealed an amazing win. "I think it was a great game for people to watch and also for us to play in," said Van Gerwen. "In the last two weeks I've not been at my best but Gary brings a little bit extra out of me. "When you play like this against an opponent like Gary, it gives you a lot of confidence for the rest of the Premier League. "We were both phenomenal and we can both be happy with the performance, but it's most important that I got the two points because I needed that to keep up with the players at the top of the table." 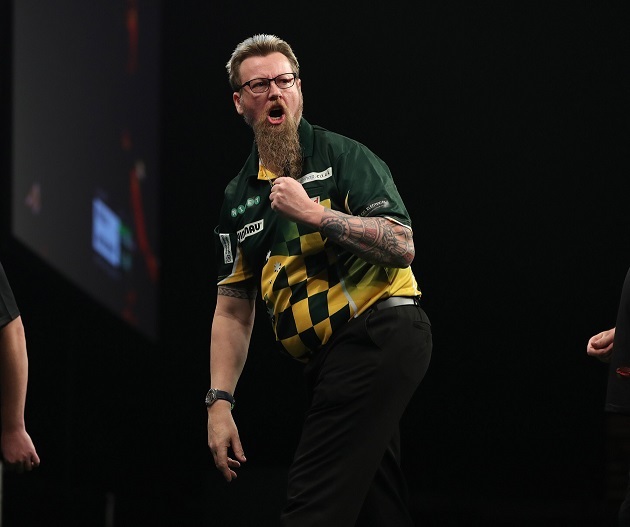 Whitlock was a 7-4 winner against Raymond van Barneveld, capitalising on a strong start as he opened up a 3-0 lead with the aid of finishes of 71 and 92. Van Barneveld hit back but was never able to break as the Australian held throw to close out his third successive win since returning to the Premier League stage. "I'm playing good darts when I have to and it's great to get another two points," said Whitlock. "I couldn't have asked for a better start and I'm really confident. "The darts are going great and there's no pressure on me. I was probably the outsider but I know how to play Premier League darts and I'm just taking it one week at a time." Meanwhile, Smith's winning start to the season continued with a third successive victory, as he overcame Mensur Suljovic 7-2. Smith finished 72 and 68 to move two legs up before Suljovic hit back to level, but a 116 finish from the World Youth Champion restored his advantage. Double five edged him 4-2 up, finishes of 13 and 14 darts ensured a minimum of a point before double seven sealed a third straight win. "I keep winning and I don't feel like I've played my best darts yet so I'll take this," said Smith. "Everything's going well so far and I'm taking my chances. "I've made a habit over the years of giving games away but people are doing it to me now. I'm loving it at the moment - my darts are going in great and I'm winning." Gurney won the game's first three legs to put himself in command, and though Price hit back in the fourth the World Grand Prix champion landed back-to-back 14-darters to establish a 5-1 cushion. Price traded 180s with Gurney before finishing 80 to begin his comeback, and then took out a stunning 148 checkout and tops as he pulled back to 5-4. 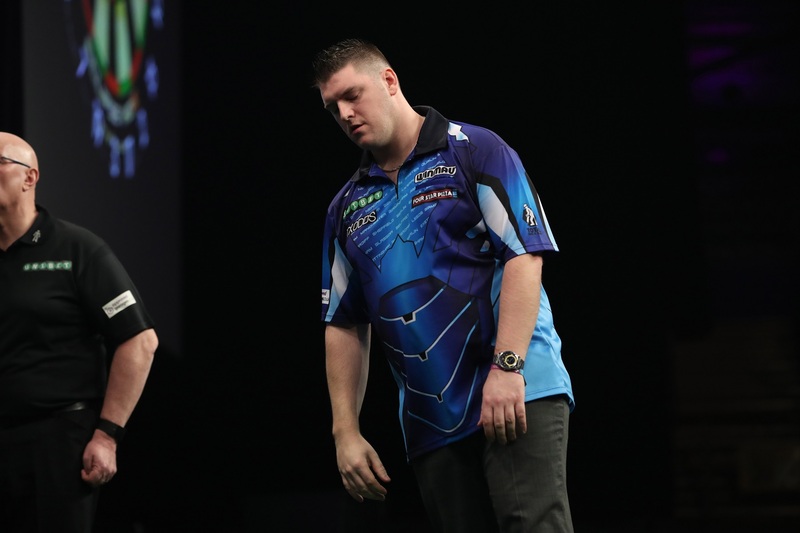 Double four sealed at least a point for Gurney, but Price hammered home a 136 finish to force a decider before landing double 12 as he completed the fightback to claim a draw. "I wasn't at my best, so I'm delighted to come out of that game with a point," said Price. "I think Daryl's probably more disappointed than me. "I took out a couple of good shots and scraped over the line. I'm playing badly but picking up some points, but I want to start coming out of the blocks a bit quicker. "I've been 5-1 down twice now so I've got to believe in myself. Maybe I'm trying a bit too hard so I think I need to relax a bit more."